The Nasdaq composite dropped 1.4 percent on Monday as major tech stocks declined. 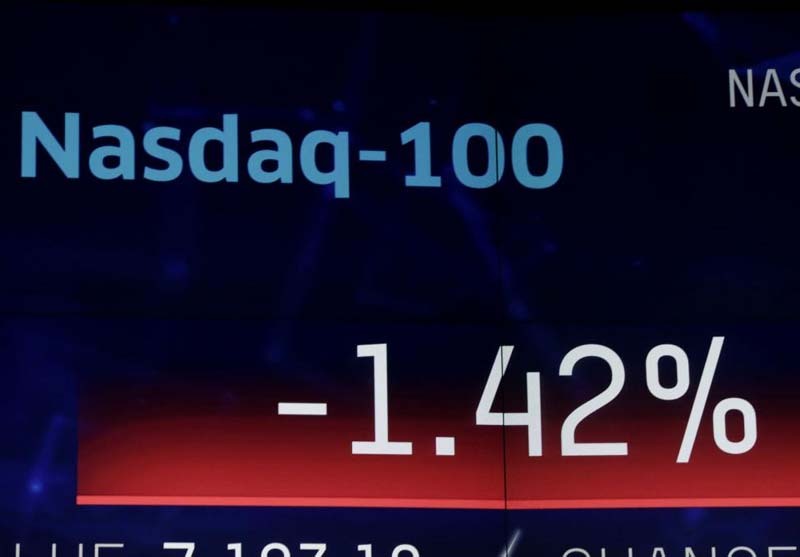 The Nasdaq fell to 7,630 at the end of trading Monday, continuing a three-day drop of 3.86 percent, the largest since late March when it fell 5.12 through three sessions, CNBC reported. [post_ads]Facebook shares dropped 2.2 percent Monday after falling 19 percent Thursday in the wake of an earnings forecast that projected a revenue drop. Netflix also fell 5.5 percent, while Amazon and Google's parent company, Alphabet, fell 2.1 percent and 1.8 percent respectively. The S&P 500 declined 0.6 percent to 2,802.60, with the tech sector falling 1.8 percent, as Twitter shares experienced the largest decline at 8 percent. Take-Two Interactive also fell 7.7 percent, Electronic Arts dropped 5.7 percent and Akamai Technologies dropped 5.5 percent. A 4.2 percent decline by Visa and a 3 percent drop by American Express also contributed to a 144.23-point decline for the Dow Jones Industrial Average, which closed at 25,306.83.